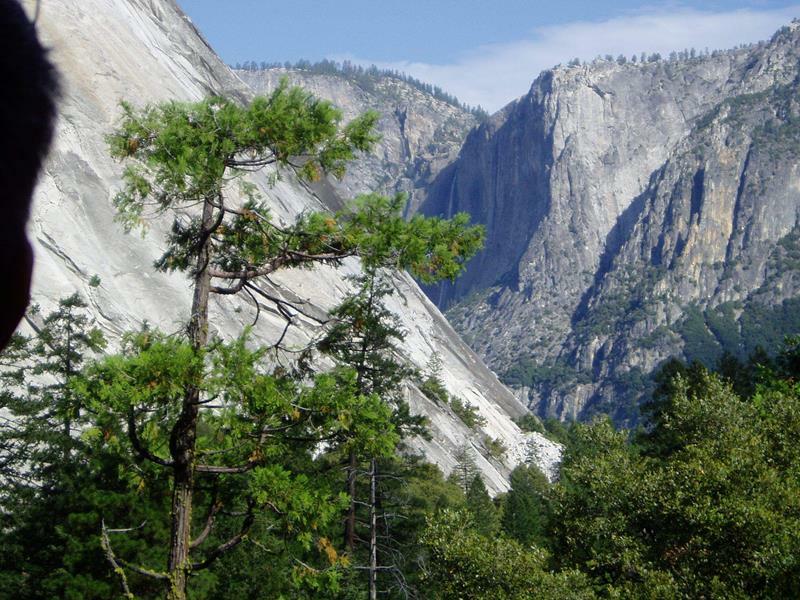 Yosemite is arguably the greatest natural treasure of the United States. It’s an absolutely stunning park, one that gives countless people from around the world the chance to experience the natural beauty of the country that appealed to the natives who once inhabited it and its future settlers. 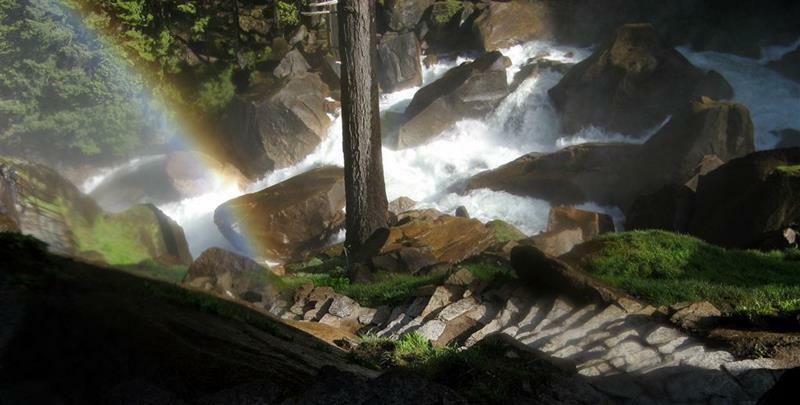 While there are many hiking trails throughout the park, there is perhaps none more breathtaking (and more dangerous) than the Mist Trail. 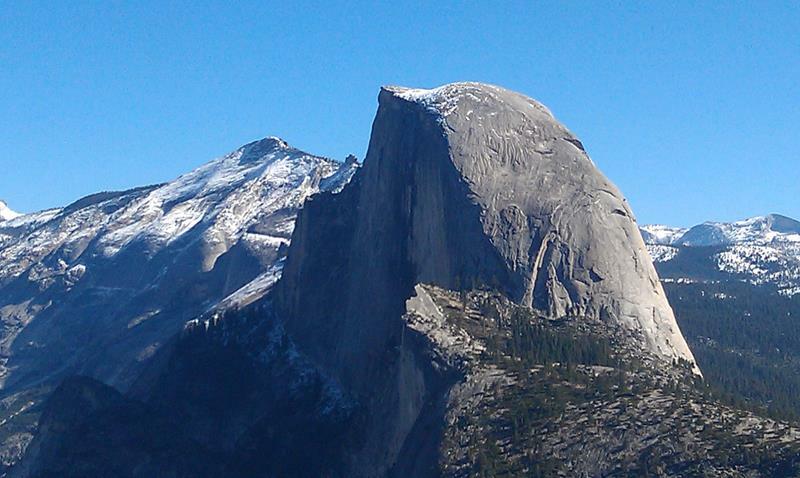 This trail takes hikers up the Half Dome, offering stunning views of the surrounding park. The trail itself is over 14 miles long, so it’s definitely for those who are physical fit and prepared for a long day’s journey. 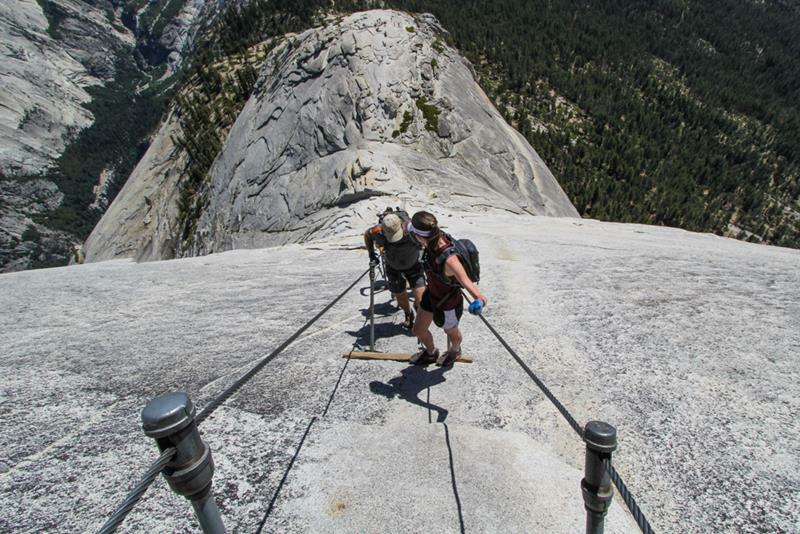 Also, hikers will need to be prepared for the end of the trail, which requires the use of steel cables to get to the top. If you’re physically prepared for it, and you’re okay with a little bit of danger, than the Mist Trail is incredibly rewarding! So, let’s take a look at it shall we? 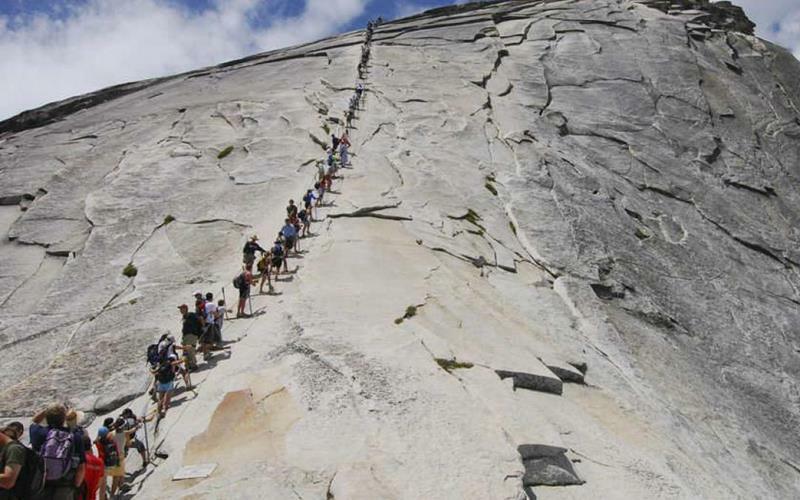 What follows are 16 jaw-dropping pictures that show why thousands of people hike this trail every single day! 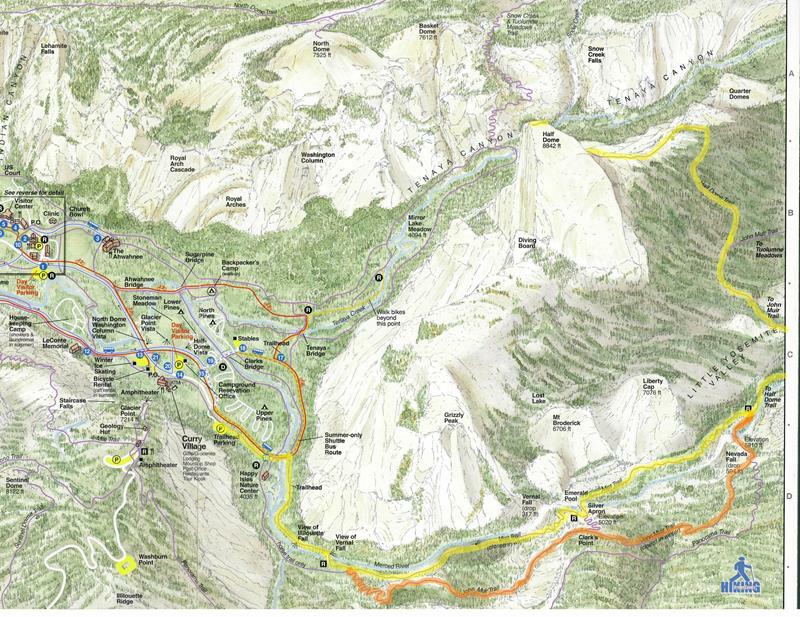 Highlighted in yellow on the map above, you can see the extent of the Mist Trail in Yosemite National Park. 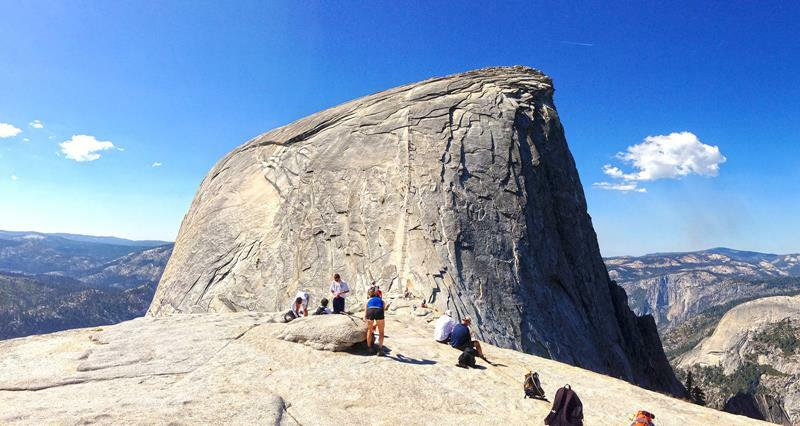 If you manage to make the entire 14 plus mile hike, you’ll be treated to stunning views from atop the Half Dome. 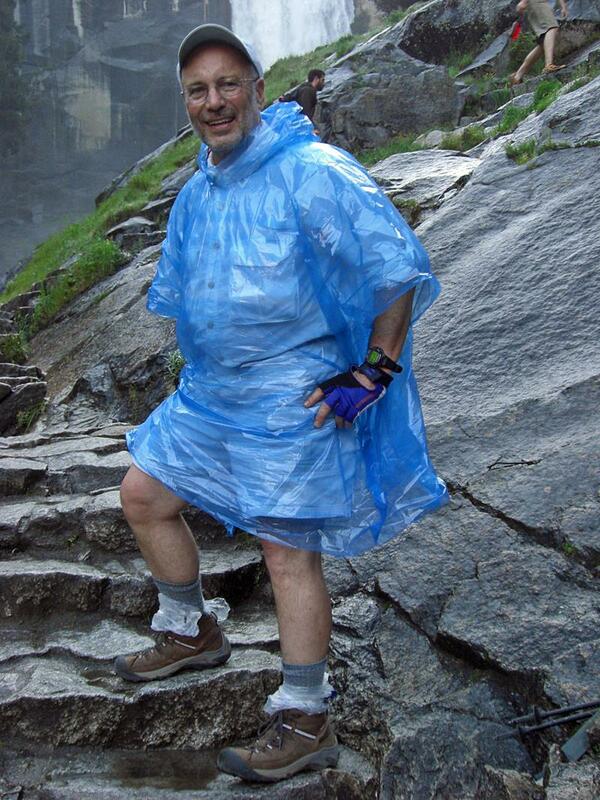 This picture gives you an idea of why the Mist Trail is called the Mist Trail. It is, literally, quite wet and misty on the way up! 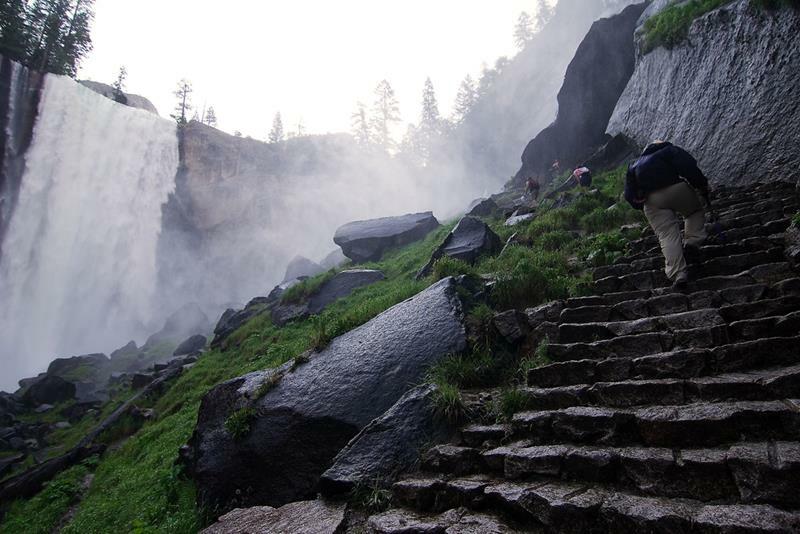 All of that mist can make traversing the many stairs of the Mist Trail much harder than you might think it would be. 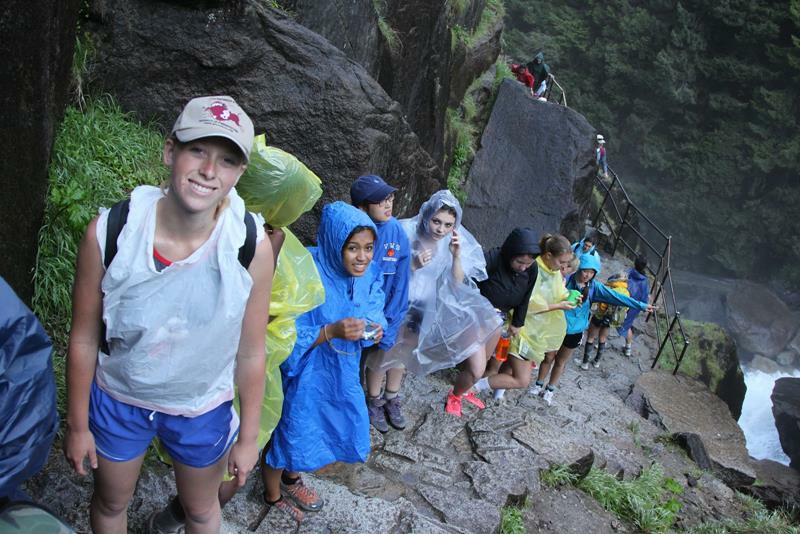 If you’re going to brave the Mist Trail yourself, make sure you’re prepared with the appropriate attire if you have any hope of staying dry! Where does all that mist come from, you ask? 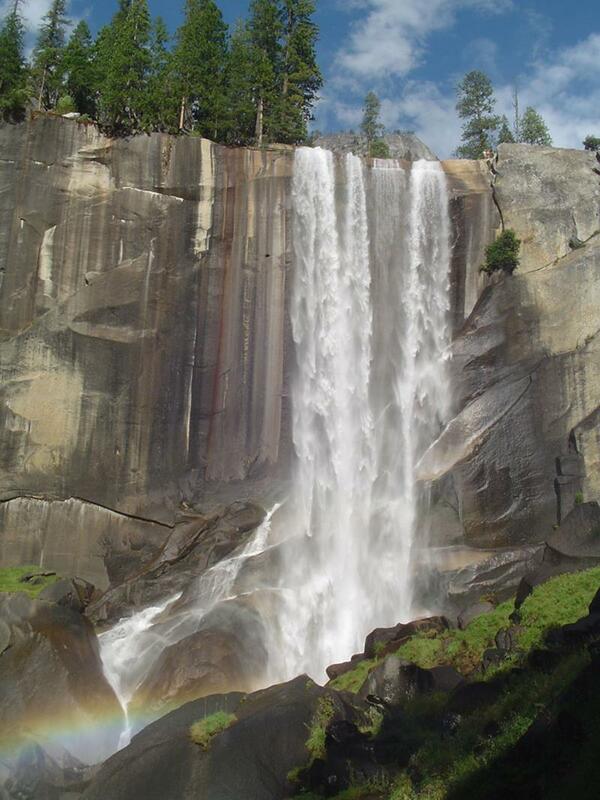 Well, it has a lot to do with the stunning waterfalls you’ll get to peek at! 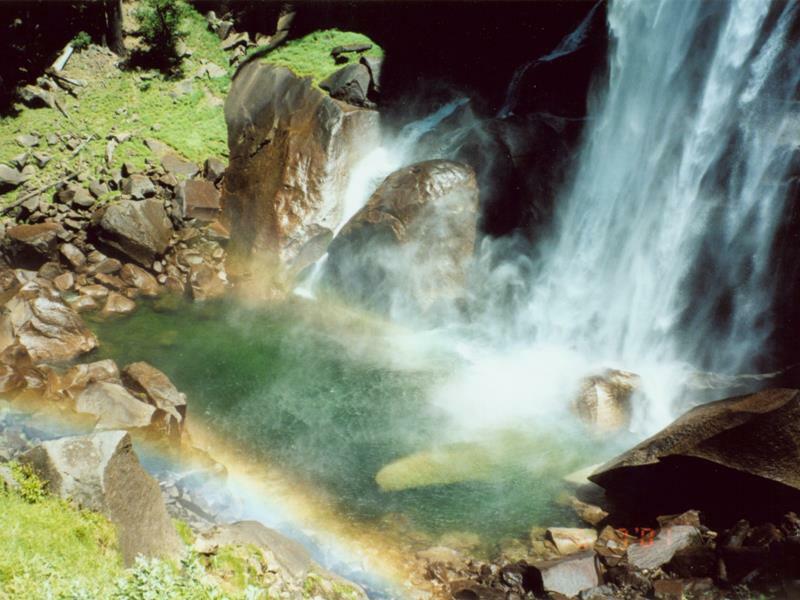 Perhaps the most breathtaking of all the Mist Trail waterfalls is the Vernal Waterfall, the bottom of which you can see here. 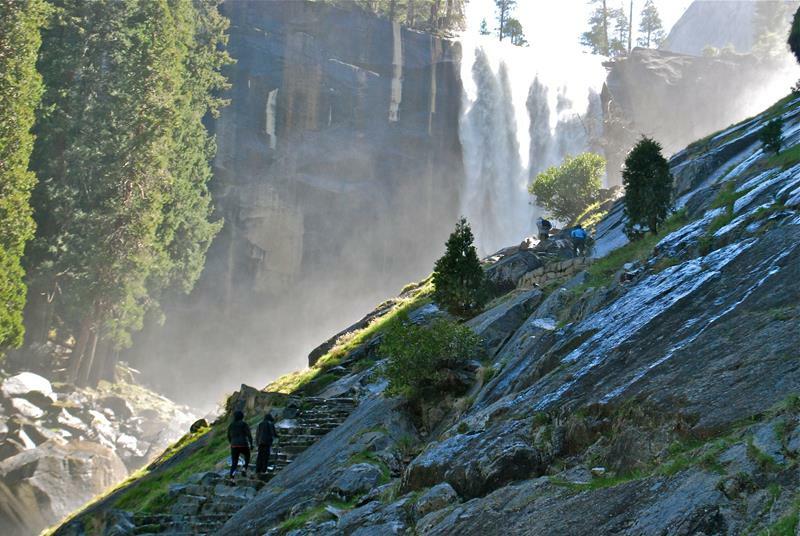 Here you can see hikers in the foreground making their ways up the trail, while the Vernal Waterfall roars in the background. 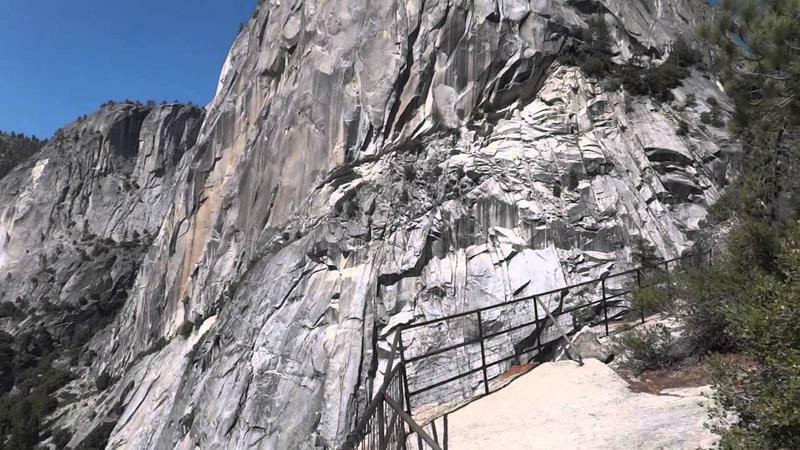 Before you get lulled into a false sense of security with those stairs, remember that some parts of the Mist Trail are more difficult than others. The trail itself isn’t the only danger! You’ll also have to be wary of other hikers, some of whom may not be as sure a foot as you are! 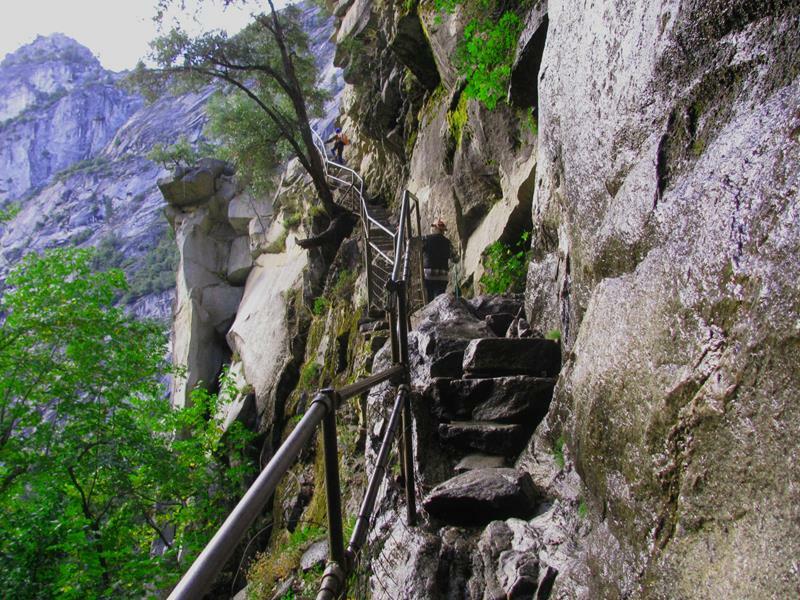 Here you can get an up close look at how slippery those stairs up the Mist Trail can get! 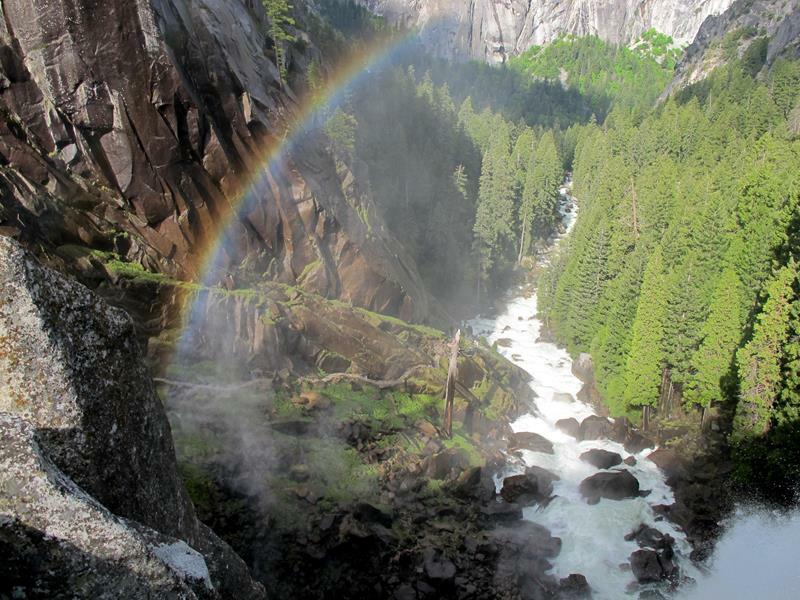 It’s a long way up the Mist Trail, so make sure you stop to take a breather (and to take in those views) every once in awhile! 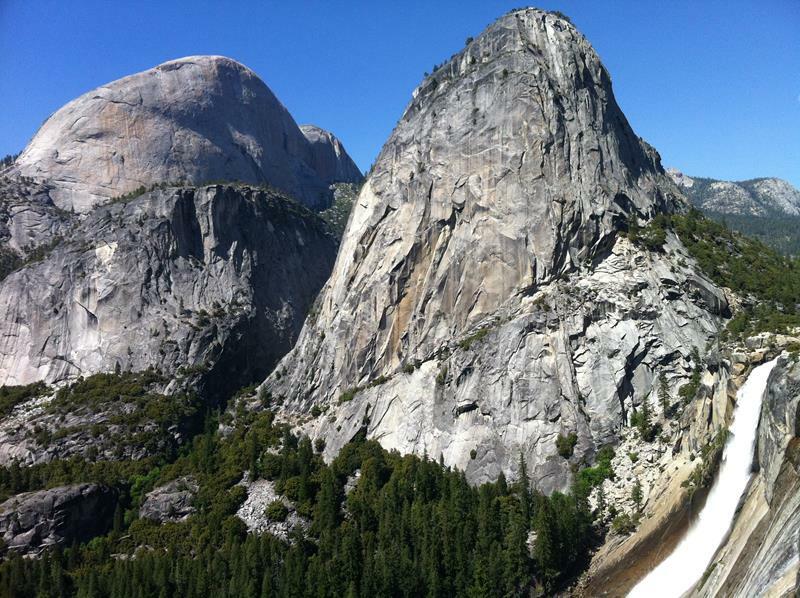 Here you can see the view you’ll experience as you near the top of the trail and your final ascent! Once you’ve made it to almost the end of the trail, you’ll have 400 feet of steel cable and an uphill climb in front of you. If you’re the kind of person that’s afraid of heights, then don’t look back as you’re making that final ascent! Check out the view that awaits you after you’ve made your way to the top… Now there’s just the question of getting back down!